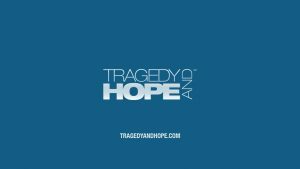 5/30/18 Tragedy and Hope, with Meria and Richard Grove. 9/11/01 was the turning point in history; not being taught; we have illusory security;Americans played by media, CIA, social networks;Agenda 21, Technocracy;rulers and the ruled;Fascism in America;lives given for freedoms we don’t have; study of power; civil war;proto globalists; the trap of divisiveness;Alexa, Siri, collecting data to train AI;adapting your behaviors; trumped up wars; real historyfreedom of speech or self censorship?Win-win or lose-win;drama on social media, back away; when truth is absent freedom declines;China’s social credit system;Idiocracy;needless mass surveillance;Patriot Act, NDAA, etc; Royal wedding-blending US & UK?Oliver North and the NRA;Trump the rodeo clown;destroying US from inside out; limits to capitalism;UK opium warmth flag;East India Company and much more. I’m working on it. Loved having him monthly before. Glad you enjoyed it. He’s just brilliant.